Passengers who refuse to pay extra for “Priority” will only be permitted to travel with one small bag (35cm x 20cm x 20cm) free of charge. Previously, the airline allows all customers to travel with two items of hand luggage: one small bag and one large bag (no bigger than 55x40x20cm and no heavier than 10kg). However, if they are “Non-Priority”, the larger bag is taken at the gate and put in the hold free of charge. 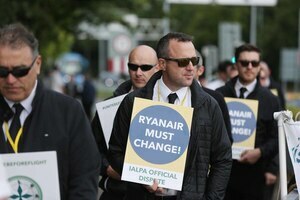 The airline claims the changes are not about making money, but about speeding up the boarding process and reducing delays. 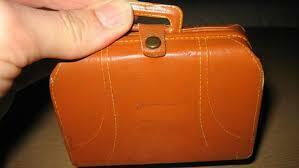 Ryanair have released size guidelines for their new carry on luggage rule. 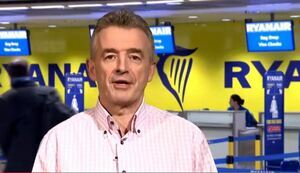 Posted in Misc and tagged Ryanair at 9:53 am on November 1, 2018 by Bodger. Isn’t that what they’ve had for awhile now?! 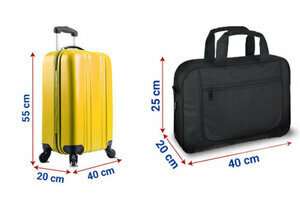 35cm x 20cm x 20cm is smaller than some laptop bags. Just checked and an A4 page is 30cm (almost) x 21cm so it won’t fit in a 35cm x 20cm x 20cm bag unless folded. According to their website the small personal bag you can carry on board is 40x20x25cm max which will take a laptop or an A4 page. Where did the 35x20x20cm thing come from? Too many numbers. My brain exploded. just dont fly with them. Or, when pricing flights be sure to include the extra charges. Or hire clothes at your destination. I think somebody here needs a hug. What a load of boo boos. Their ‘priority’ queue system is the cause of their slow boarding process. I’m surprised that airport authorities haven’t told them to sort these issues out already, as they’re the ones dealing with the cost. the only thing that slows down boarding is people losing all sense of direction and common sense as soon as they step foot inside an airport! airports are simple. take your liquids out and put them in the little bag while you queue for security. after security, pack your bag back up at the little table they give you instead of standing in the way. when you go to board, you need your boarding pass and passport, open it before you hand it to the person, like they ask on the announcements. 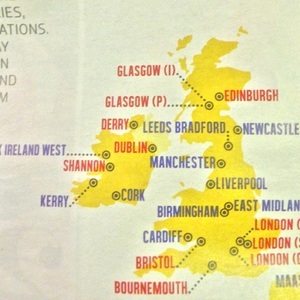 although, if ryanair had any sense they probably have shares in these companies too. Aer Lingus all the way. Life is too short.